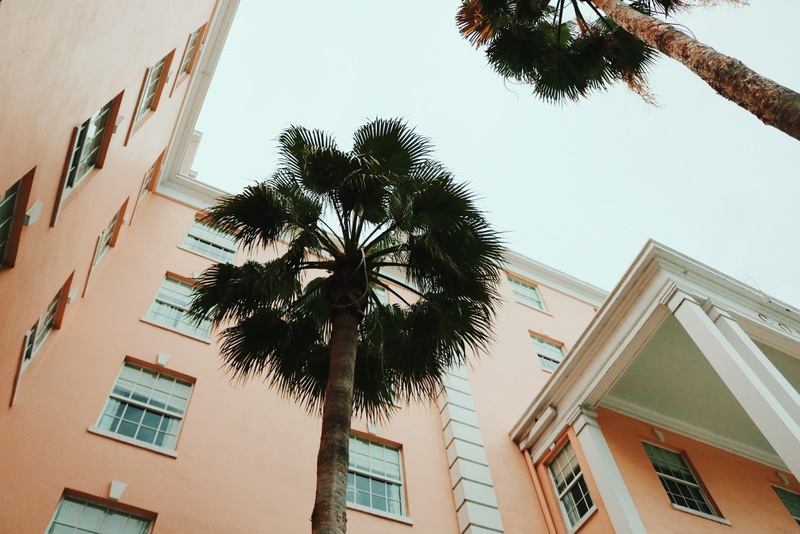 Last weekend, I ventured to South Florida for a little vacation in Palm Beach, and from its rich history to its beautiful architecture, everything about this place was incredible. 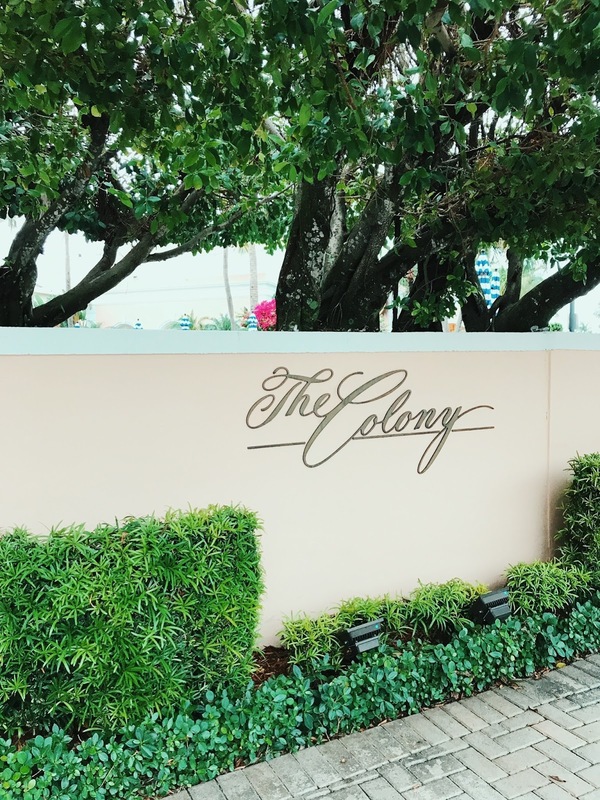 We checked into The Colony Hotel, and I knew from the moment we arrived it was the perfect place to stay. 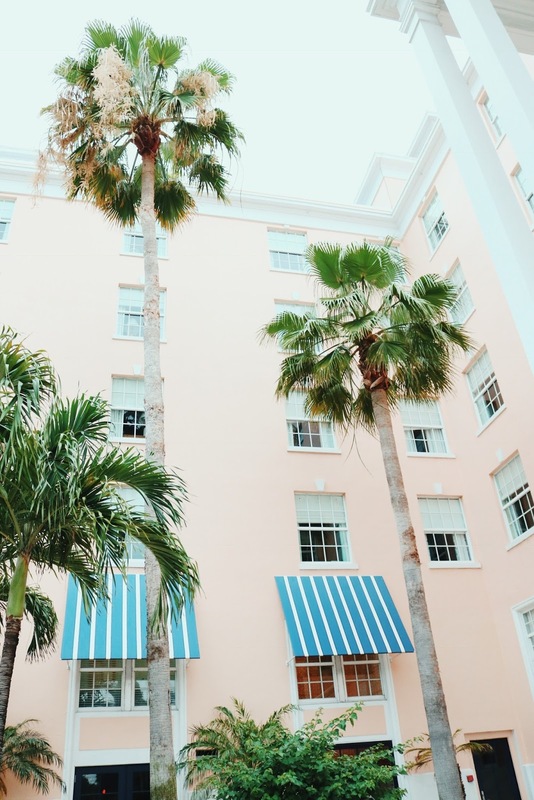 If its pink exterior wasn’t enough to satisfy my tropical taste, its banana leaf-printed carpet in the hallways put the icing on the cake. Better yet, it was walking distance from both the beach and Worth Avenue, the area’s famed upscale shopping district. Along Worth Avenue, there were plenty of details to take in, and not just in the stores, which essentially define luxury shopping. If you don’t pay attention, though, you just might miss the little side streets, or “vias” as they call them, with even more shops, restaurants and hidden gems to discover. After a little bit of shopping, we stopped by Pizza Al Fresco, tucked away in Via Mizner, for some fantastic margherita pizza. We dined outside next to a little piece of history. Addison Mizner, the architect who introduced the Mediterranean style to Palm Beach and whose mansion lies at the end of Worth Avenue, had a pet monkey named Johnnie Brown, who just so happened to be buried -- yes, buried -- right next to our table circa 1927. It’s little things like that that made our Palm Beach experience so unique! We wrapped up our trip with a visit to the Palm Beach Zoo to mingle with a flock of flamingos. We immersed ourselves in the “Flamingo Experience,” which took us behind the scenes to meet-and-greet these loveable and hysterical feathered friends. We walked them around the zoo, gave them a little snack, and then posed for a few selfies. It was the highlight of our trip! Find out more about Palm Beach at VISIT FLORIDA. What a fun weekend getaway! The hotel room looks GORGEOUS! That hotel is gorgeous!! Also loving that flamingo skirt, and the fact you got to mingle with actual flamingos! I love the leaf carpeting in the hotel. The curtains surrounding your bed are also amazing. This makes me want to visit Palm Beach. Where is your palm leaf dress from? It's so cute! These pictures are absolutely gorgeous! Palm Beach is one of my favorite destinations. This hotel is so pretty this is definite going on my travel bucket list.